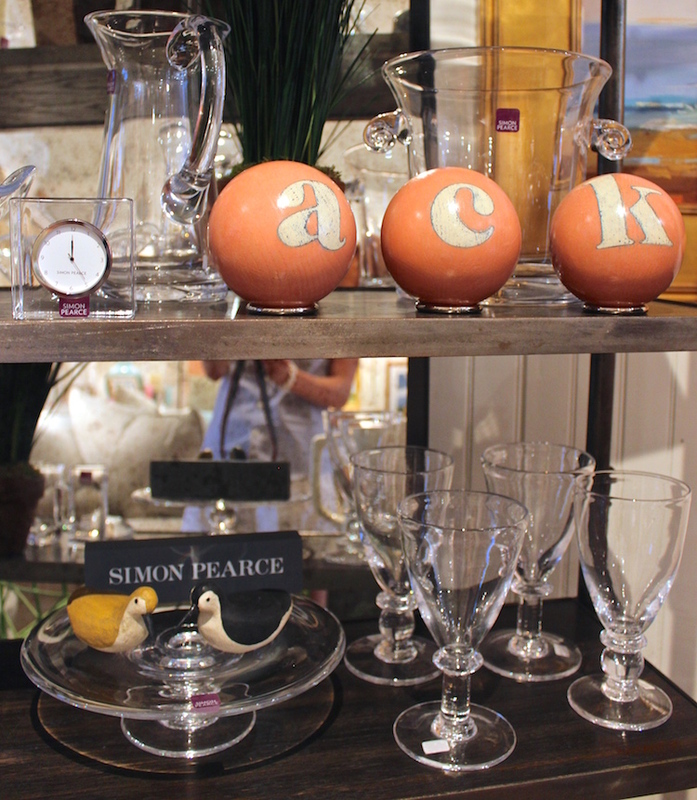 Welcome to the “Stores & Stories” series where I’m exploring businesses that offer more than one would expect! Whether it be innovative, unique products or an inspiring history, I am officially on the hunt to find the most interesting home decor and design sources to explore and share with you. 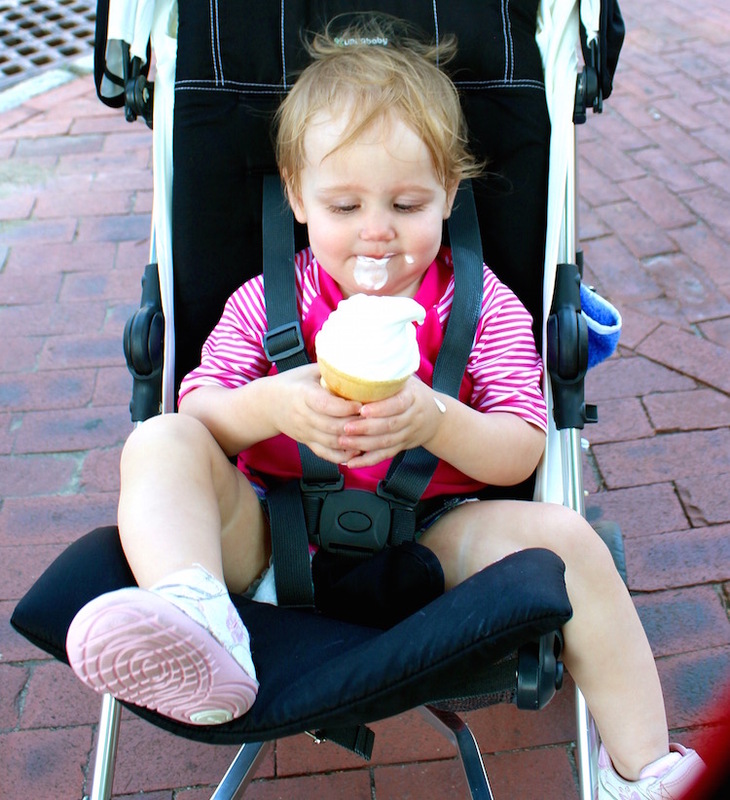 I could write all day about our family vacation this summer in Nantucket. We explored, dined, beached and of course, did a little shopping too! 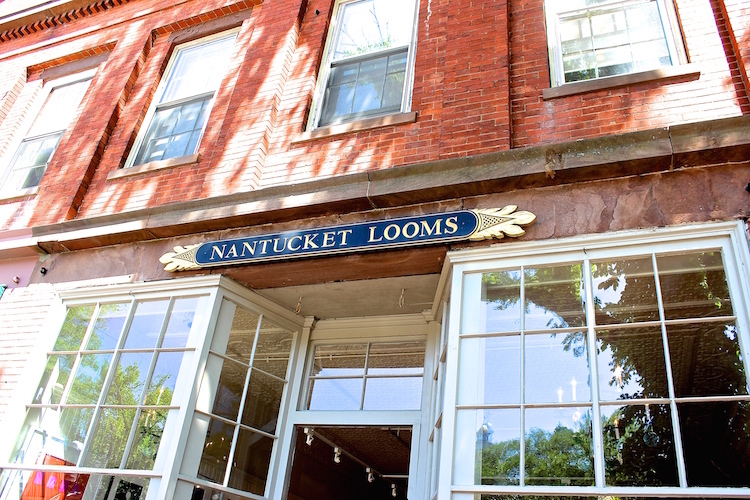 One of my favorite parts of the trip was a morning spent at Nantucket Looms. I was lucky enough to discover this amazing store before our trip and could not wait to visit in person. Nicole, my sister-in-law (and blogger behind Cedar & Rush) and I got a full tour and I am delighted to share all the fun things we discovered here! 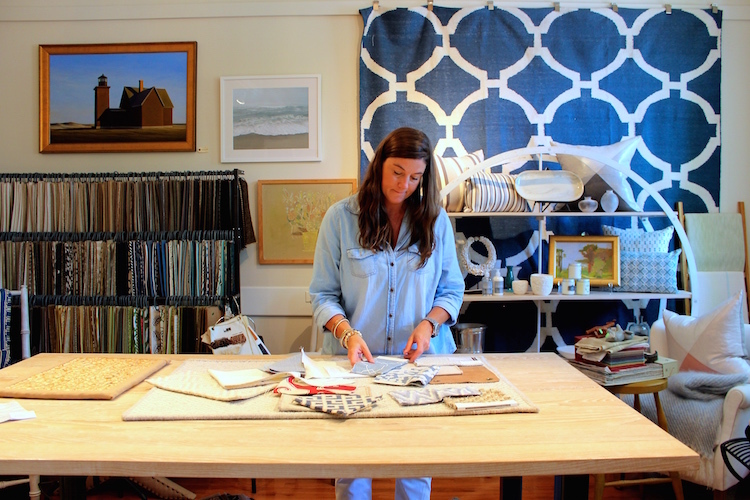 The blankets at Nantucket Looms are so soft and cozy in person – I almost just snuggled up right on the spot! I do admire a store that supports their local artists. 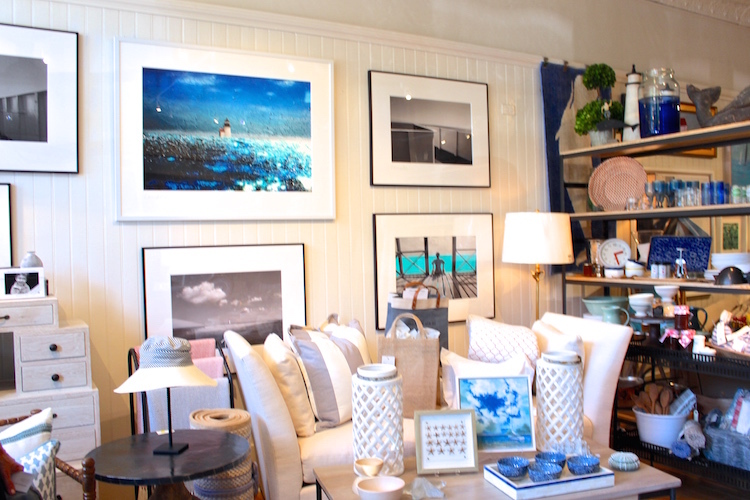 You’ll find plenty of ocean inspired art and beautiful pieces here. 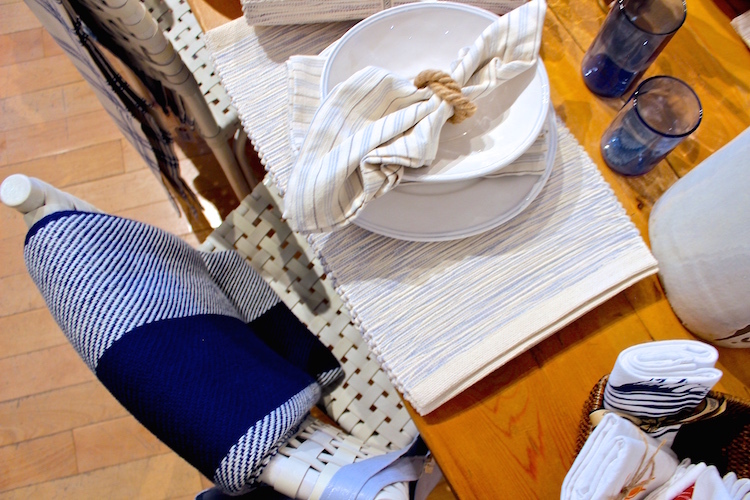 Durable, handwoven placements & napkins with a timeless design. 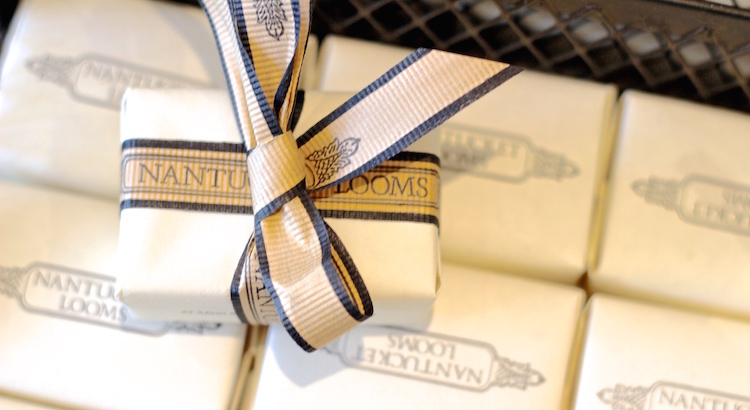 Their signature Wildflower Soap (which smell and feel amazing) start at only $3. 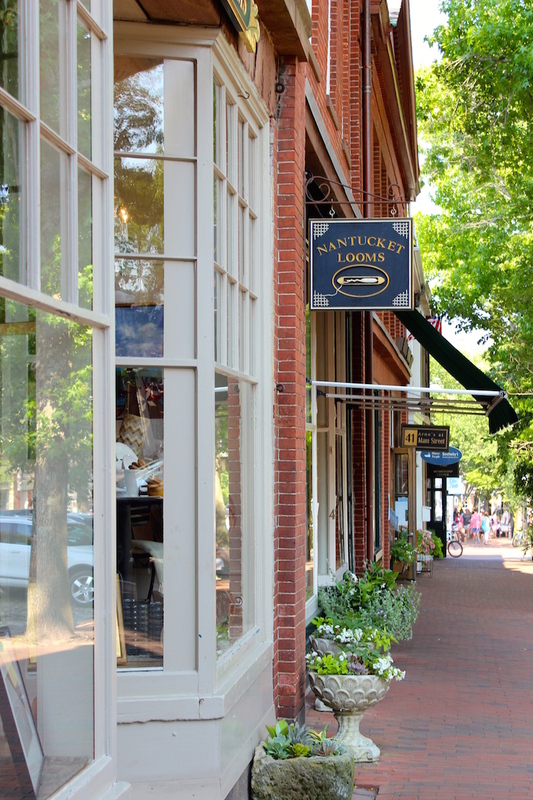 Nantucket Looms has plenty of delightful items and gifts in their downstairs retail boutique…but the real magic all happens upstairs! 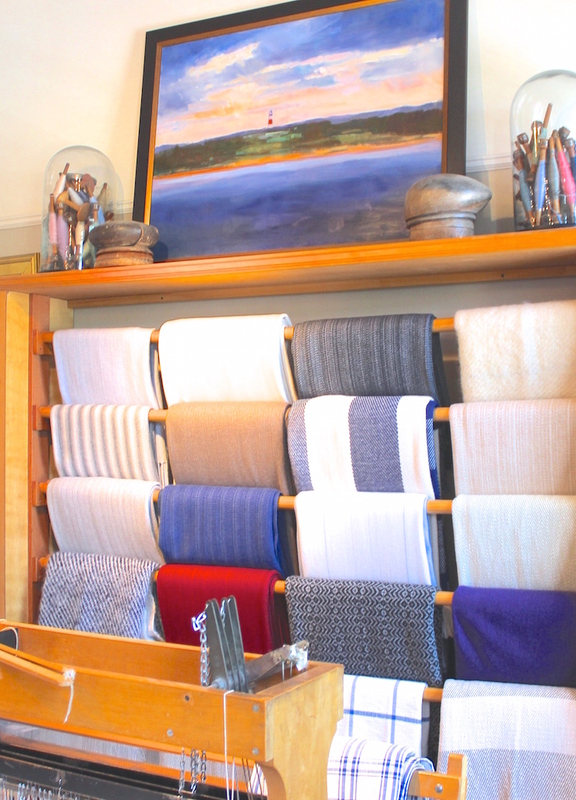 The weaving studio, located just above the retail shop, is where Master Weaver, Becky Peraner, and her team create these luxurious throws and more. 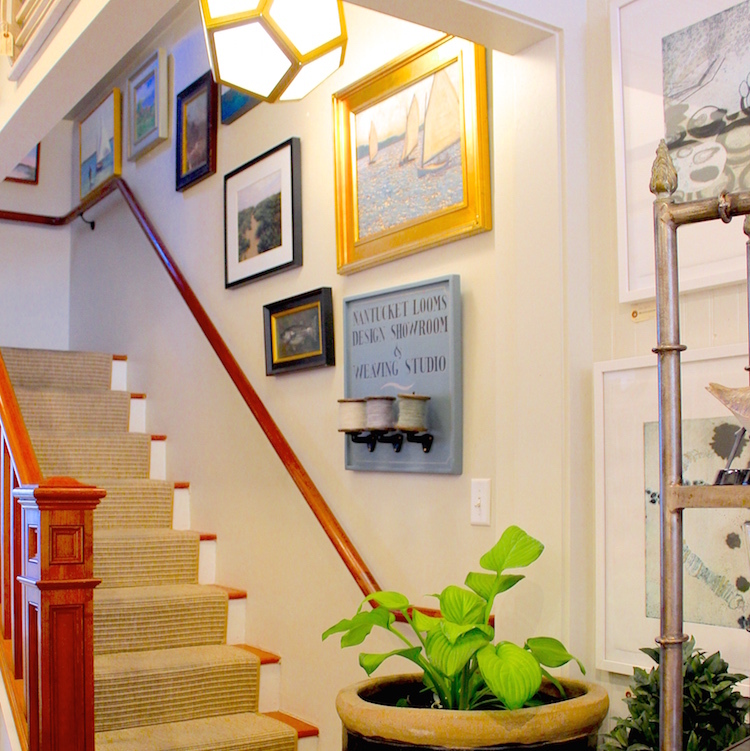 As soon as you walk upstairs, you are greeted with thousands of colorful yarns, looms, weaving supplies and a wall full of the history of Nantucket Looms. 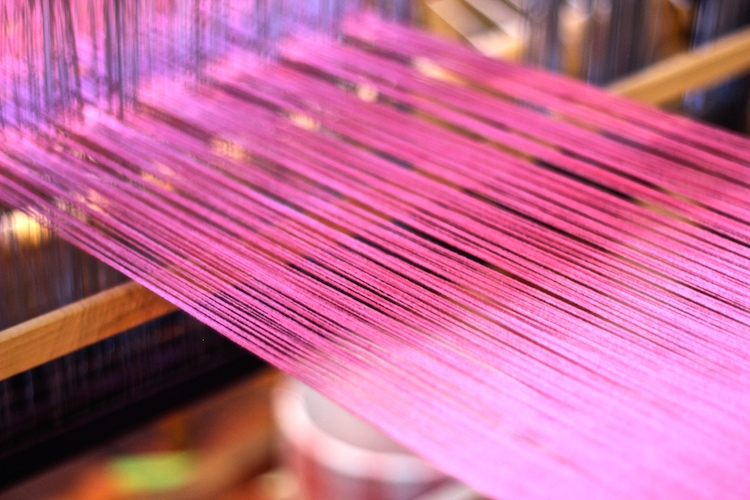 Becky gave us the scoop on how the weaving process works and used words (like bobbins and weft) that I haven’t heard since my Textiles class in school! It was a nice refresher and seeing firsthand how these items are made really makes you appreciate the quality. 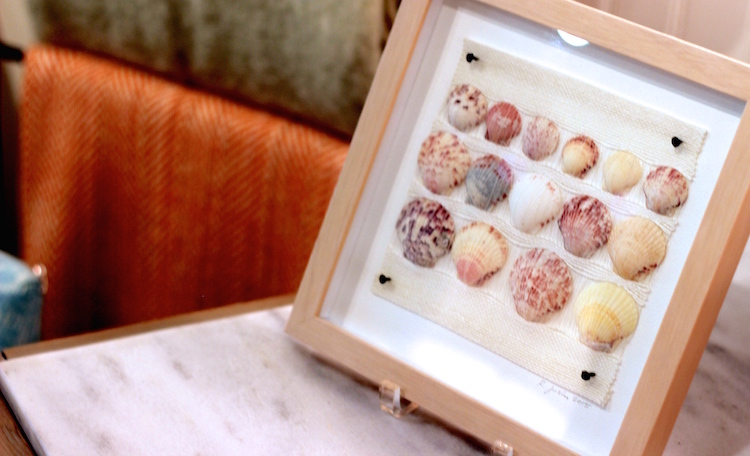 Handwoven Scallop Vignette – These one of a kind pieces, created by Becky, are made with seashells from the beaches of Nantucket and woven on the loom with hand painted yarn. 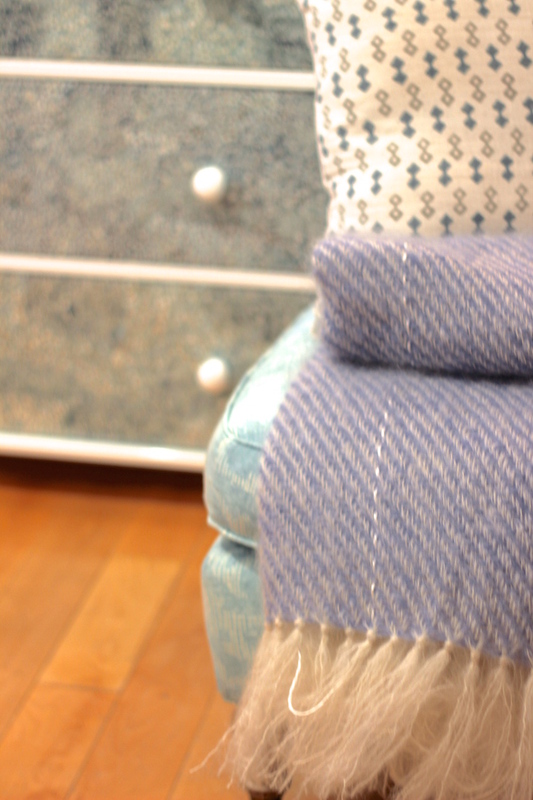 These fabrics have even been used to upholster chairs for Chanel showrooms around the world. 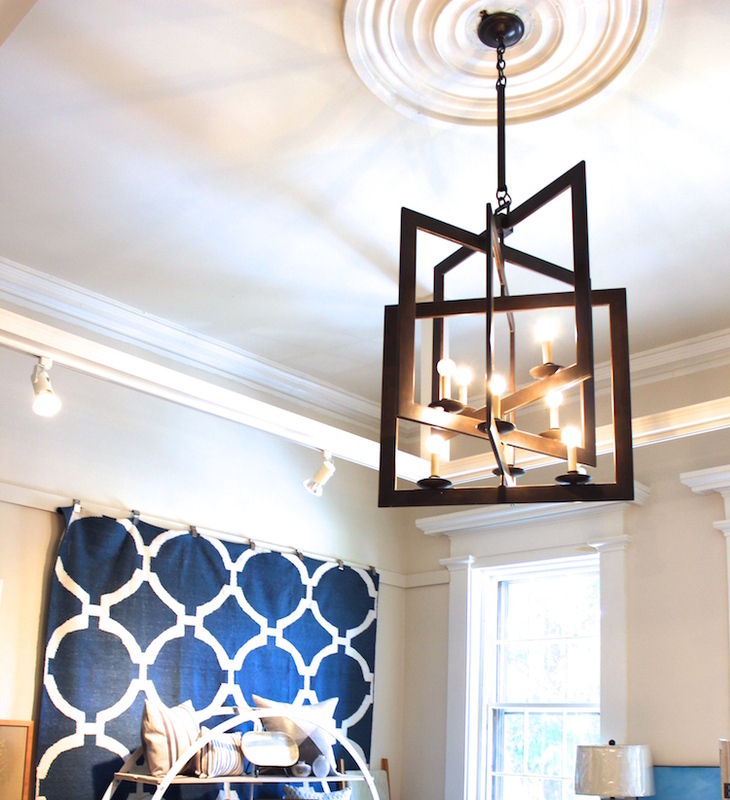 Also located upstairs, you’ll find the Design studio. 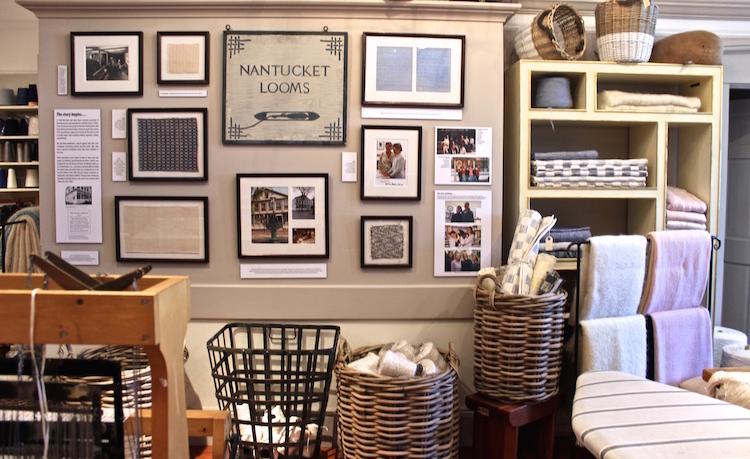 I highly recommend visiting Nantucket Looms or checking out their website for home decor & gift ideas. 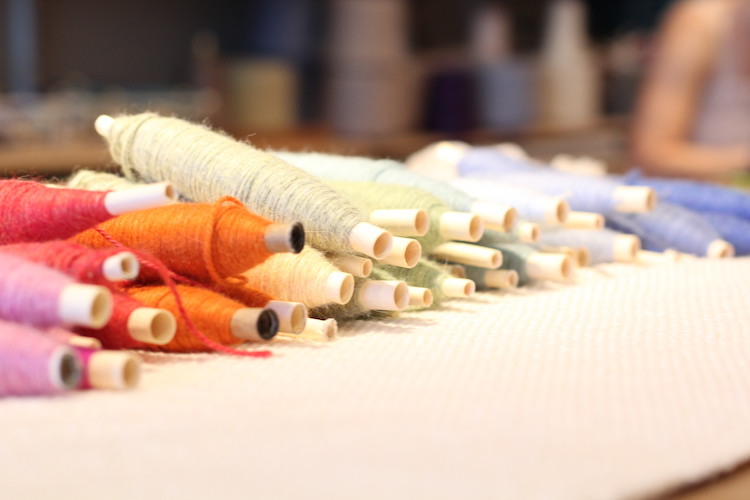 This shop is full service – Retail Boutique, Weaving Studios and Interior Design showroom. This is the place to go – just ask any of the First Ladies. Almost all of them have shopped here, notably Jackie O. while enjoying some chocolate ice cream (perhaps from the famous nearby Juice Bar?)! 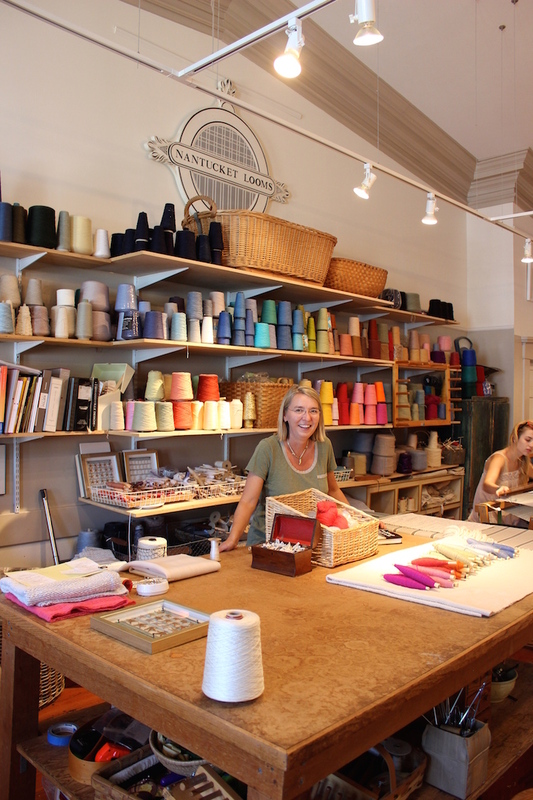 Thank you Bess, Stephanie and Becky at Nantucket Looms for giving us a tour and being so helpful! We had a great time visiting and will be back again! Hopefully sooner than later…..!